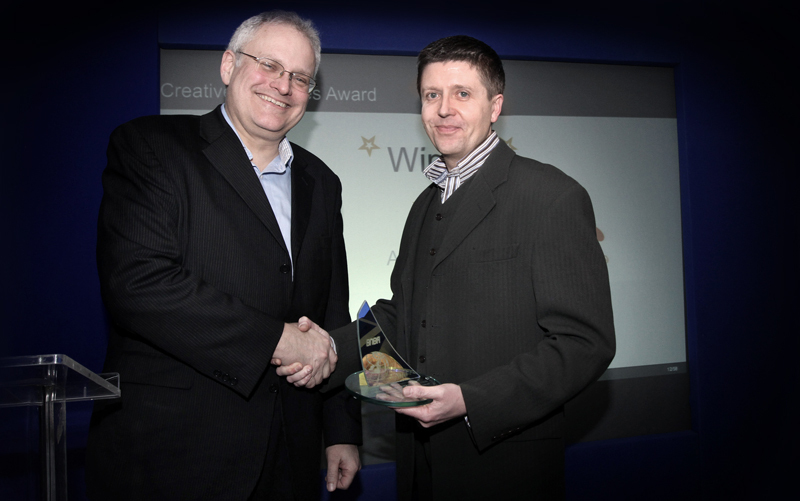 We are really delighted to share with you that Ambient Life have this week been announced as the winner of the Best Creative New Business at the 2011 Annual Business Awards. The awards are held each year in the North East and celebrate the best in new business across the region in categories such as marketing, innovation, creative industry, environment, and manufacturing. The award dinner and ceremony were held this week and hosted by Wendy Gibson from the BBC. Tim Wallace (founder of Ambient Life) "This is a fantastic achievement for Ambient Life and we are very proud indeed to have received this award, more so because it is awarded to us in our home area of the North East of England. I started the company 4 years ago with a very definite business plan to strive to create and promote the very best in commercial photography. 4 years on we are ahead of that plan and have some wonderful clients within our family such as Aston Martin, Land Rover, Morgan, and Kenwood. It has certainly been a roller coaster ride over the last few years and to get any business off the ground is hard work not at least in the current climate but I firmly believe that a mix of a firm but simple approach of offering a high quality product to our clients along with a sound business like approach has seen us gain a good hold in our market, and I hope this will continue to encourage our growth over the coming years with new exciting projects. You can never sit back and just wait for clients to come to you, the key for me is to find your own unique approach to market and be fully committed to achieving the best success that you can not only for your own business but for that of the businesses that you are connected and work within, promoting growth and success, small cogs that work together to achieve that exciting and inspirational end result."